UNION CITY, N.J. (October 23, 2018) - Unity Bank has provided a $3.6 million Small Business Administration (SBA) loan to Ashraf Soliman of Cliffside Park for the renovation and expansion of Hudson Gas & Auto Service, Inc. at 3200 Kennedy Boulevard in Union City. 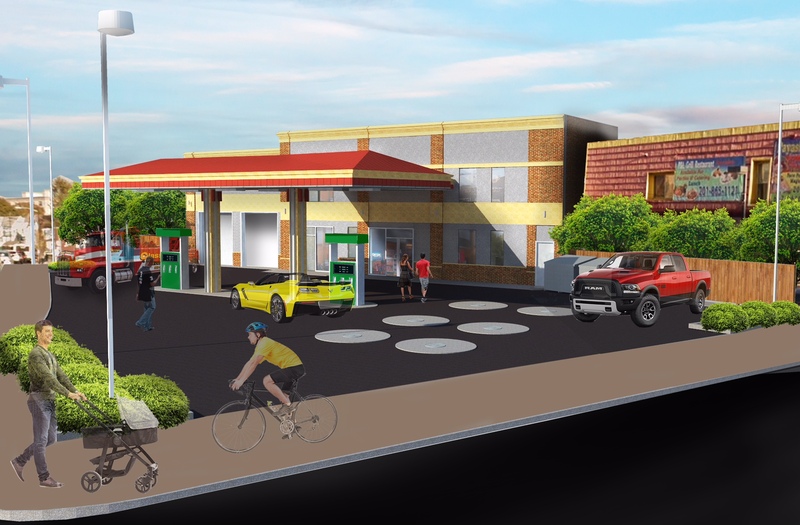 The near 10,000-square-foot lot will include a Sunoco gas station, convenience store and two-bay mechanic's garage upon completion. "I was looking for funding for the project when a friend connected me with Unity Bank," said Soliman. "Unity could not have made the process any more efficient. The property is in a prime location and really has been underutilized so I look forward to starting construction as soon as possible." The completed project will feature two gas pump stations covered by a canopy that leads to the convenience store located in a two-story building. The C-Store will occupy approximately 1,700-square-feet on the building's first floor with the second floor utilized for storage and office space. The two-bay mechanic's garage, approximately 900 square-feet, will be connected to the convenience store. The Kennedy Boulevard property originally contained gas pumps with the Getty brand when Soliman purchased the garage in 2008, but the pumps were removed when Getty left the gasoline business several years later. Soliman, who also owns a mechanic's shop in North Bergen, expects construction will take four to five months. "We wish Mr. Soliman success with his expanded business and appreciate the opportunity to fulfill his funding needs," said Unity Bank President & CEO James A. Hughes. "As a community bank, we are committed to working with small businesses whether they are just starting out or looking to grow operations." Unity participates in the 7(a) Loan Program, SBA's primary program to help start-up and existing small businesses obtain financing when they might not be eligible for business loans through normal lending channels. The bank also participates in the SBA 504 Loan program, an economic development program that offers small businesses long-term, fixed-rate financing used to acquire fixed assets for expansion or modernization. Unity Bank is consistently among the top 10 of New Jersey SBA lenders in loan volume. The program also serves parts of Pennsylvania and is expanding into New York.